When preparing for the future or when dealing with life’s unexpected events, you need the assistance of a Family Law and Estate Planning attorney who will guide you through complex legal issues and help with your specific situation. The Law Office of Raquel M. Silva, CFLS* is a place where you can come to discuss your concerns in a private and supportive manner. Having significant experience in family law and estate planning, we know that these areas can be difficult to navigate without the assistance of a knowledgeable attorney. Contact us online or call 530-758-0500 to set up an appointment to discuss your concerns about your future and your family. The Law Office of Raquel M. Silva, CFLS* provides legal services in Yolo County and Northern California. Yolo County services include all areas of family law, guardianships, adoptions, and probate. Northern California services include estate planning and trust administration services with a focus in Solano and Sacramento Counties. You should never have to worry about our priorities when it comes to your legal matter. 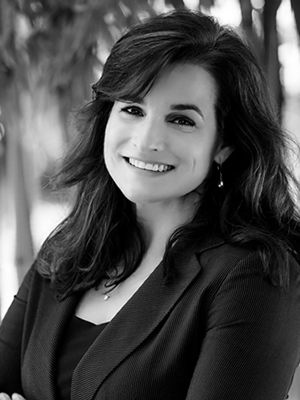 Because Raquel M. Silva, CFLS* is a solo practitioner she personally handles all of her client legal matters. Your matter is not “farmed” out to junior associates who may require extra time and attorney’s fees to get “up to speed” on your matter. No matter what the situation is, we are always motivated by your best interests. We are here to help and will always do what we can to answer your questions, offer advice, and make sure that you are informed and comfortable. When dealing with Family Law or Estate Planning, you need an attorney who has the experience to properly handle your case and your specific legal needs. Attorney Raquel M. Silva, CFLS*, has that experience. As a paralegal, Ms. Silva handled many areas of the law, including real estate title litigation, business litigation, and corporate law. Since being admitted to the California State Bar and focusing on Family Law and Estate Planning, she is able to utilize that experience to creatively problem solve as those issues arise in client matters. Contact us online or at 530-758-0500 to set up an appointment with our attorney, Raquel M. Silva, CFLS* to discuss your family law and estate planning needs. Office hours are Monday through Thursday from 9 a.m. to noon and 1 p.m. to 5 p.m. and on Friday from 9 a.m. to noon. Our Davis office is conveniently located in the Oak Avenue Professional complex. We accept Visa, MasterCard and Discover credit cards.